In a perfect world, people would understand each other at a glance and nothing could create confusion among them. But in the real world we have to come up with ways to communicate our ideas clearly so that our peers don’t misunderstand us. In software development, acceptance criteria help to properly set a client’s expectations for a product. Criteria for an app such as “I want my app to be awesome and popular with as many people as possible” don’t really tell us much; we eliminate misunderstandings between a client and a development team by referring to clearly defined acceptance criteria for user stories. In this post we’ll talk about acceptance criteria in Agile methodologies (like Scrum and Kanban) and provide you with a few examples of well-written acceptance criteria. We’ve mentioned Scrum for a good reason. Scrum is an Agile framework that helps software development teams deliver products of any complexity. At RubyGarage, we prefer to work according to the Scrum methodology, and recently we even released our own app for Scrum poker. With Scrum (just like with any Agile approach), we operate with such terms as “user stories” and “acceptance criteria” to ensure clear descriptions of how end-users will use an app and how a team should fulfill each task. The purpose of user stories is to explain the roles of users in a system, their desired activities, and what they intend to accomplish by successfully completing a user story. For Agile teams, user stories are the primary method of identifying user needs. So how can we make sure that user stories are completed correctly and comply with a client’s demands? This is where acceptance criteria come into play. Acceptance criteria are a formalized list of requirements that ensure that all user stories are completed and all scenarios are taken into account. Put simply, acceptance criteria specify conditions under which a user story is fulfilled. Concisely written criteria help development teams avoid ambiguity about a client’s demands and prevent miscommunication. Writing acceptance criteria is not only important for eliciting the vision of a product from your client, but for the development process as well. It’s natural that different people see the same problem from different angles. Clearly written criteria introduce a single solution to the functionality you intend to implement. What are Acceptance Criteria Used For? To define boundaries. 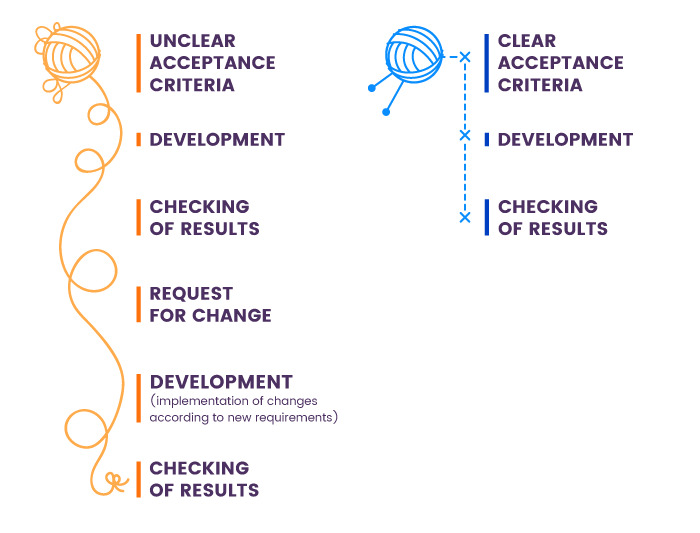 Acceptance criteria help development teams define the boundaries of a user story. In other words, acceptance criteria help you confirm when the application functions as desired, meaning that a user story is completed. To reach consensus. Having acceptance criteria synchronizes the development team with the client. The team knows exactly what conditions should be met, just as the client knows what to expect from the app. To serve as a basis for tests. Last but not least, acceptance criteria are a cornerstone of positive and negative testing aimed at checking if a system works as expected. To allow for accurate planning and estimation. Acceptance criteria scenarios allow for the correct division of user stories into tasks so user stories are correctly estimated and planned. Who Writes Acceptance Criteria and When? Either a client or a development team writes acceptance criteria. As a rule, criteria written by a product owner (the client) are reviewed by a member of the development team to make sure that the criteria are clearly specified and that there are no technical constraints or inconsistencies from the development perspective. Such flow is an excellent way to collaborate if a product owner has some experience in software development and is aware of how to write project documentation. If you prefer to assign writing acceptance criteria to the development team, then a requirements analyst, project manager or QA specialist should deal with this task, since they know the technology stack and the feasibility of features. Remember that acceptance criteria should be specified upfront and never after the development stage has started. Therefore, a team and a product owner should agree on minimum deliverables that will meet the product owner’s requirements. There are several types of acceptance criteria. The most popular are rules-oriented (in the form of a list) and scenario-oriented (in the form of scenarios that illustrate each criterion). 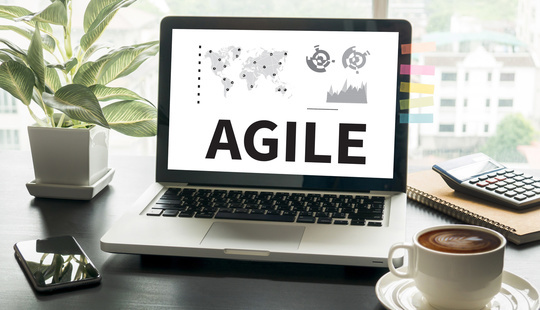 The scenario-oriented type is popular among Agile teams since it helps with getting across requirements, envisaging various use cases, and further using scenarios for manual and automated acceptance tests. The common template for describing acceptance criteria using a scenario-oriented approach is the Given/When/Then format that is derived from behaviour-driven development (BDD). The Given/When/Then format is used for writing acceptance tests that ensure that all the specification requirements are met. The Given/When/Then template helps you reduce the time spent on writing test cases since you describe the system’s behaviour upfront. We prefer writing acceptance criteria with the first-person “I” since it helps us talk from a user’s perspective and keep a user’s needs in mind. Keep your criteria well-defined so any member of the project team understands the idea you’re trying to convey. Keep the criteria realistic and achievable. Define the minimum piece of functionality you’re able to deliver and stick to it. On the other hand, don’t try to describe every detail since you risk cluttering up your backlog and getting buried under many small tasks. Coordinate with all the stakeholders so your acceptance criteria are based on consensus. Create measurable criteria that allow you to adequately estimate development time so you’re able to stay within budget and time constraints. Consider providing checklists that enable you to see what user stories are covered with acceptance criteria. In this section we’ll take a look at examples of acceptance criteria written for common features present on most websites. We’ll define user stories upfront because acceptance criteria are written after we’ve specified all functionality through user stories. As you can see, writing acceptance criteria is truly a win-win activity for both clients and development teams: not only does it help the team know exactly what they have to do, but it keeps the client abreast of development process and lets them check that developed software meets actual business requirements. Don’t let user stories and acceptance criteria scare you off ‒ the time you invest in describing and specifying all the features will eventually pay off. 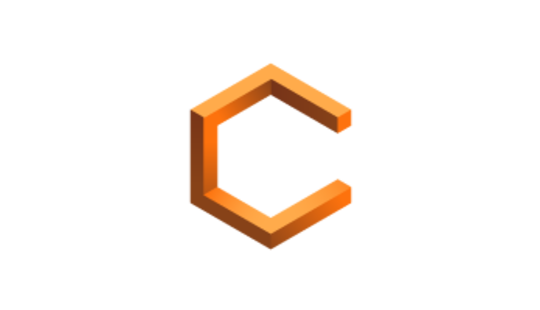 Acceptance criteria serve as a basis for use cases and test cases that ensure you achieve business goals and produce bug-free apps. The RubyGarage team is truly happy to deliver successful projects that delight not only our clients, but their end-users as well. If you have an interest in verifying our seriousness about delighting our clients and end-users, send us an email or reach us on Facebook or Twitter! Dmitriy G. 5 months ago Dmitriy G.
Hi, Vinesh! User Story can have multiple scenarios which depend on the complexity of the business logic and the number of business rules. You're right while saying that alternative paths could be described as separate scenarios to the same user story. Alternative path usually considers having a different set of preconditions and outcomes. Let's say that we have some user story in an e-commerce application which is oriented on delivering orders to customers from some local market (for example, USA) but also allows to deliver orders to customers from other countries outside the local market. As a customer I want to fill in my shipping address so that sender knows where to deliver my order. In the business logic, there could be the next alternative paths: Customer fills in local shipping address during checkout AND Customer fills in international shipping address during checkout. There are several different scenarios since API of integrated shipping service returns different shipping methods for local based shipping and for international shipping (which is outside the local area). At the same time when you are working on decomposition of the epic into user stories, you should take into consideration not only activity which should be performed by some role in the application but also the purpose of the activity. That should help you understand if it should be another scenario of already described user story or an absolutely new user story. To be clear could you please share some particular examples of alternative paths you are talking about so that I could look at them? Gherkin is a good way to describe acceptance criteria. But NFRs must be satisfied by a number of stories unlike acceptance criteria which are defined on a per story basis. In that context, NFRs are more close to Definition of Done concept where each user story should be compliant with entire list of NFRs. Vinesh Singh 6 months ago Dmitriy G.
hi, I have a couple of questions which i hope you can assist. How would business rules and non-functional requirements be captured using GWT? Similar to field validations mentioned by Dharmesh, would these sit inside the acceptance criteria? Also, correct me if im wrong but can a user story include more than 1 scenario? Last question, will alternate paths be considered another scenario for a particular user story? Thanks in advance. Hi Maryna and Dmitriy, Thanks for your clarity on writing user stories with acceptance criteria. Would you mind elaborating if field validation, field type, etc. would be captured under the acceptance criteria or use a separate supporting document like a form spec? Also, what about negative scenarios where what happens when a form validation fails? I usually write a separate story for that. Do you add as a scenario or a separate story?